If you like big buttons, then you should consider the GPS Map 64s. The screen is a good size, which is a 2.6-inch color and sunlight readable screen. It receives GPS and GLONNAS signal with its helix antenna. It can also connect wirelessly via Bluetooth or ANT+ to compatible devices. You can also connect to a smartphone to share activities or upload data. Some of the other specs are the following: 16-hour battery life, 4GB memory, and microSD card compatible. It also features a barometric altimeter, a 3-axis compass, automatic routing. 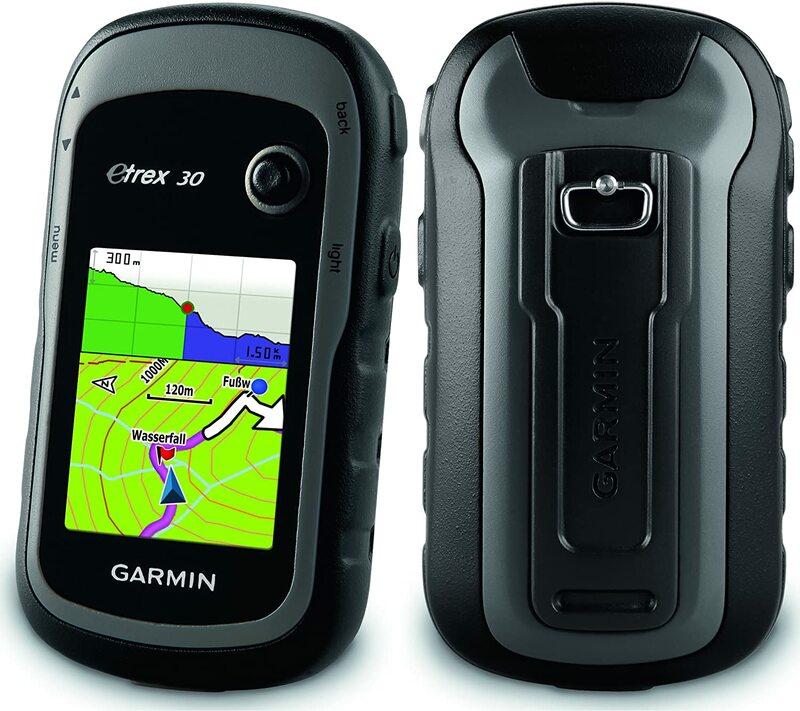 The eTrex 30 is Garmin’s most popular handheld unit. It has a 3-axis compass, worldwide base map, barometric altimeter, and wireless sharing with compatible devices. It also accepts microSD cards for more memory. In the box, you have the unit itself, a USB cable, and a quick-start guide. The device runs on two AA batteries, which can last for about 25 hours. It’s compact, robust, and has so more functions you need in a GPS. 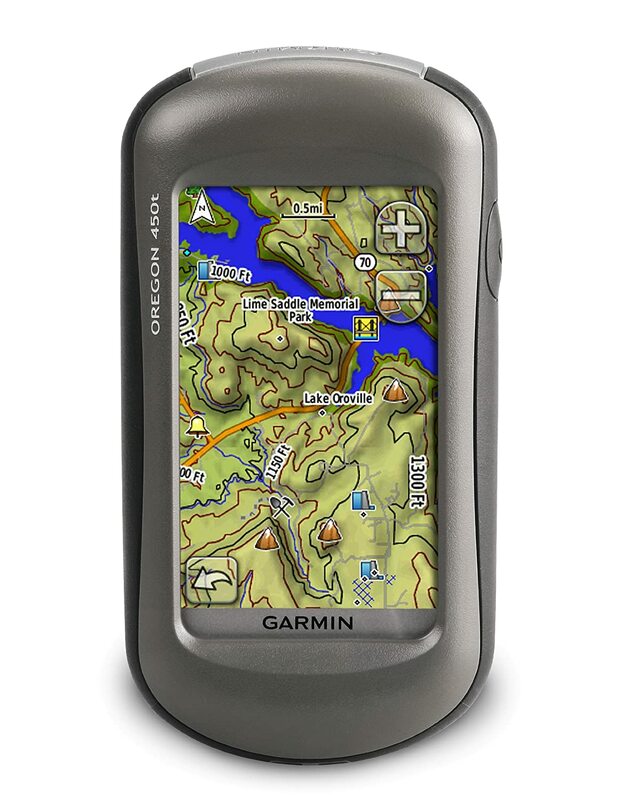 This 3-inch touchscreen display handheld GPS is perfect for the trail. It’s much like the others on this list. It offers IPX7 water rating, a 3-inch sunlight readable screen, and a 16-hours of battery life. This model has a preloaded topographic map of the U.S., and if you need more, you can always add. The eTrex 30x is a newer model than the eTrex 30, featuring a larger internal memory at 3.7GB compared to eTrex 30’s 1.75GB. That means you can load more maps and save more data. Another major difference is that it has better resolution. The eTrex 30 had a 176×220-pixel display, while the 30x has a 240×320-pixel display. That makes the readability a whole lot better. GPS Technology has evolved a lot over the years. You can find them in your cars, your smartphones, and even pet collars! For some adventures, your smartphone might do. After all, having a GPS in your smartphone is convenient. Having a GPS in your phone may be convenient, but phones run out of battery so quickly, especially when you’re using many applications. Though you can charge them with extra battery packs, that’s already another expense and device you have to bring. 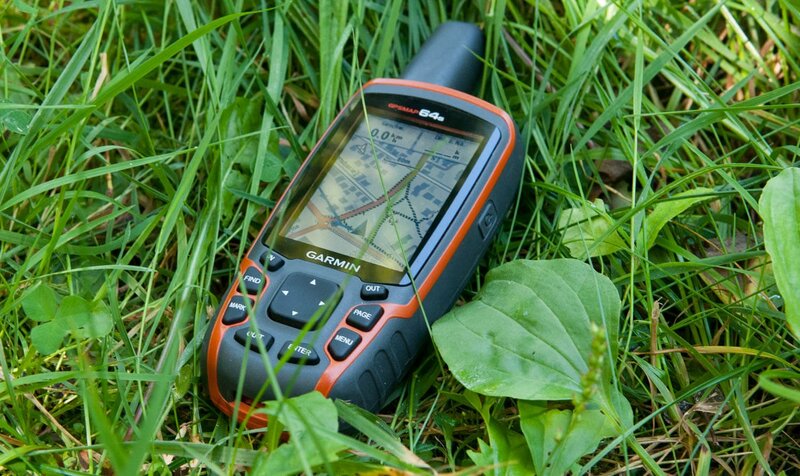 Handheld and stand alone GPS devices are designed with power that will last long. A device that has a battery life of at least 15 hours is ideal.They’re great for mountaineering, long periods of hiking, and when power ports are hard to come by. Some are also designed to work on standard AA batteries which are commonly sold in gas stations and convenience stores. 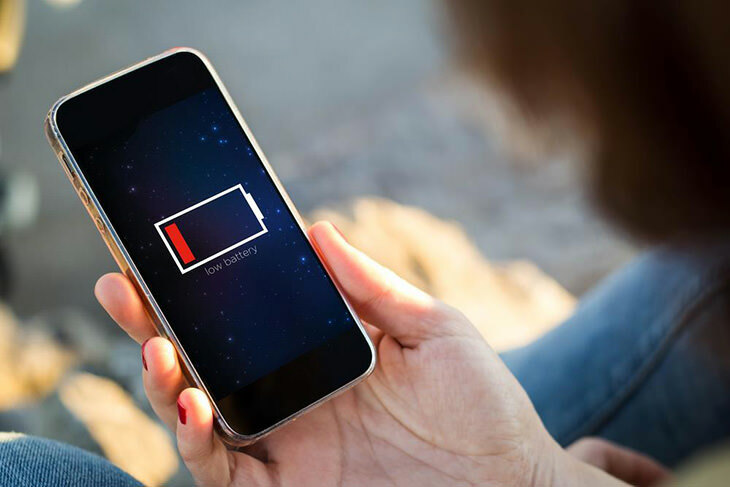 Some devices will also have built-in backup batteries for when the internal batteries die. ​Smartphones are great because it gives you a lot of functions in one device. However, the GPS function in smartphones usually relies on 4G, or Wifi connection, which can be unreliable and limited. 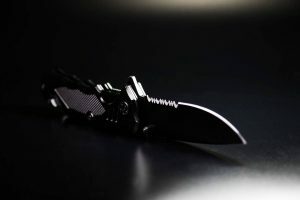 ​They are not a problem in urban areas, but when you’re up in mountains or somewhere with no service, they’re useless. Other apps, phone calls, and fast-draining batteries will also interrupt your navigation. 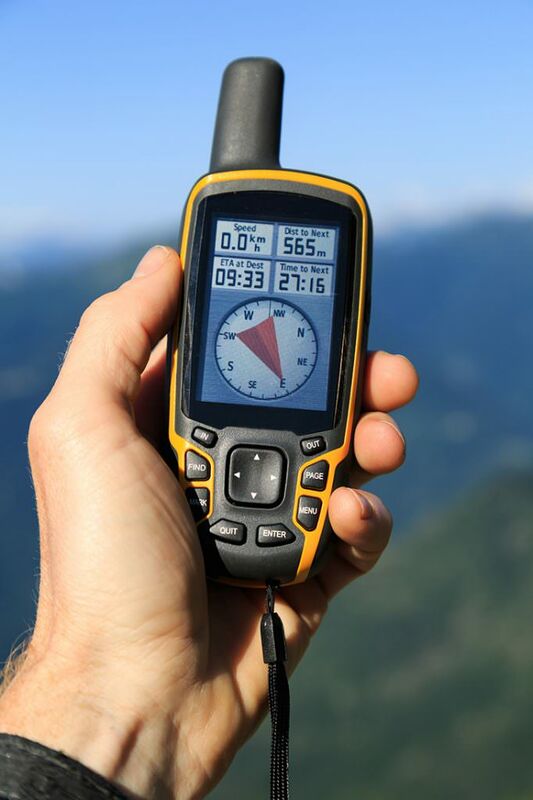 For a more reliable and continuous navigation, stand-alone GPS devices are a winner. 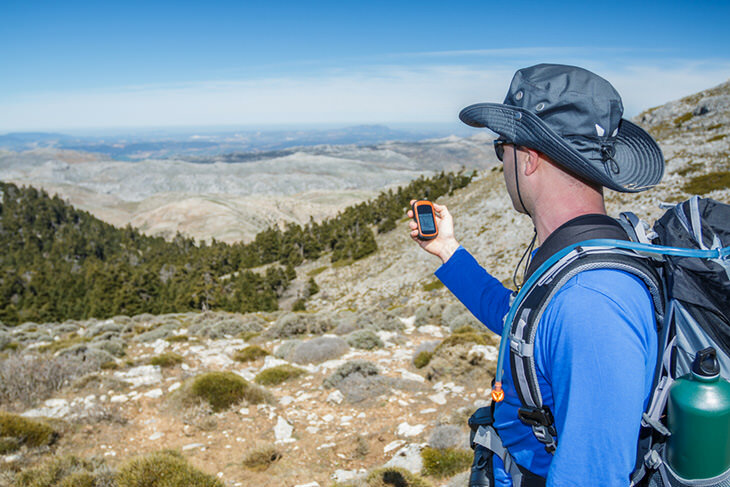 Even when the weather changes and visibility decreases, your handheld GPS can help you out. As you go along your trail or route, you can “drop” track-points. That way you can keep track of your travel and retrace your steps. A GPS can also give you valuable location-based information that is not visible, such as water depth, and possibly hazardous conditions. A smartphone won’t be able to handle bumps and falls as well as a handheld GPS. The construction of a handheld GPS is strong and is often shock and abrasion resistant. Some may even be water resistant, so using it in rainy weather is easy. You want a good balance of portability and durability. Ideally, they should be easy to use with one hand, lightweight, and the screen should have a good display. Construction of the unit depends on what weather and other physical conditions you’ll be exposing it in. Water, abrasion, and shock resistance are important factors to consider in the construction. 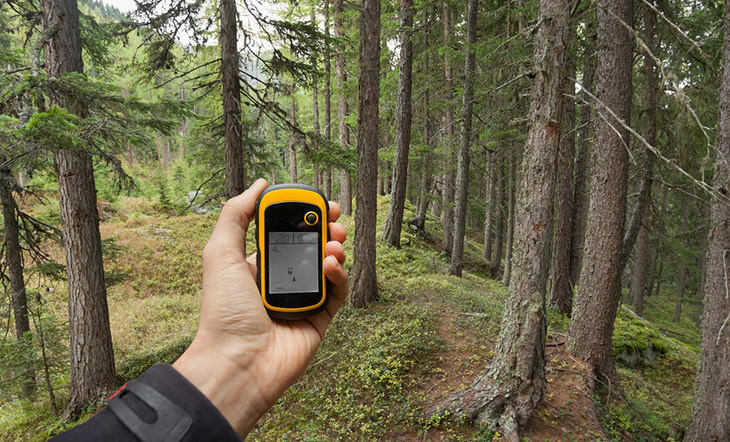 Handheld GPS can either have touch screens or buttons. Both have their set of advantages and disadvantages. Touchscreens are faster since you won’t need to scroll through the different options. However, in cold conditions, it’ll be difficult to use with thick gloves on. Buttoned models, on the other hand, are slower but tougher and easier to use in all temperatures. You can use them even with thick gloves on. GLONNAS, or global navigation satellite system, is Russia’s version of GPS. Many GPS units that can capture signals from GLONNAS satellites are faster and more reliable. 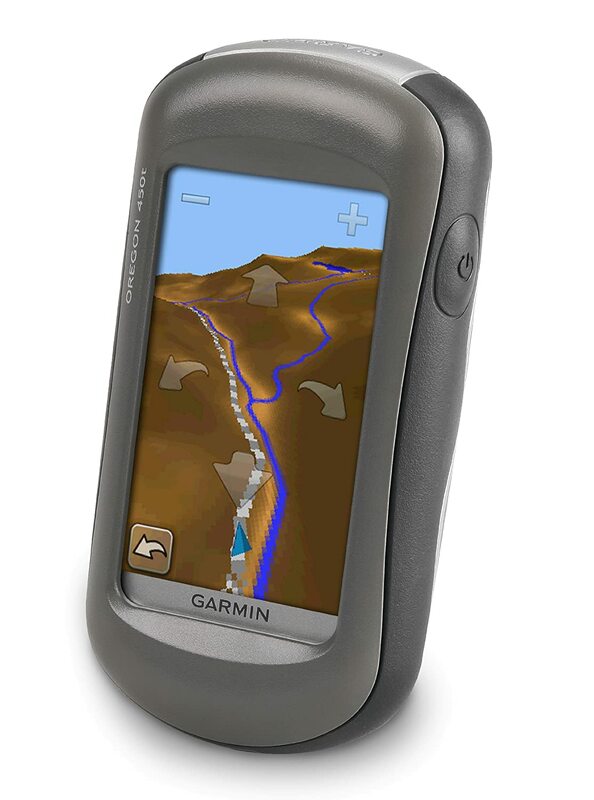 A GPS device can give location, has point-to-point navigation and plot navigation. It will have internal maps (which you can update), and show your elevation. However, some models have advanced features some models may have that might interest you. 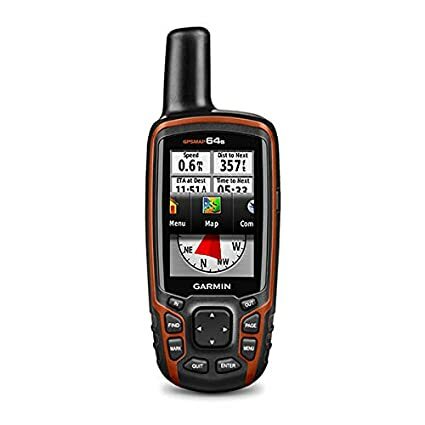 Barometer and Altimeter – Though all GPS receivers can give you your altitude using the satellite data, you will get more accurate readings with the barometer or altimeter feature. Electronic Compass – GPS receivers can give you direction as you are moving, but an electronic compass will tell you where the direction you are facing while you’re standing still. 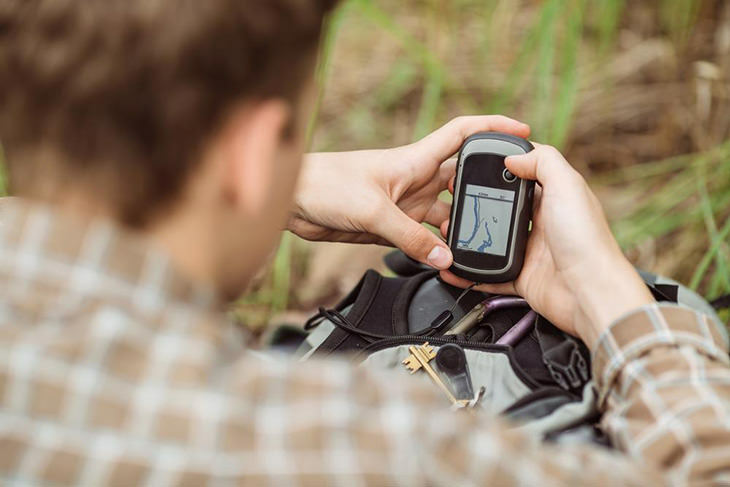 Wireless sharing – this allows you to share your routes, geocaches, tracks and points wirelessly with other GPS users with compatible devices. Camera – Some models have cameras that enable you to take pictures and geo-tag them on the map. Two-way Radio – This feature allows you to communicate with other users at a certain distance. It also allows you to receive radio forecasts. Radio ready units are useful for search and rescue teams. External Memory – External memory, usually with a micro-SD card, allows you to store more data and more maps. Although, most units have enough internal memory for single or short trips. You can also delete maps you don’t use to clear up some space. If you like big buttons, then you should consider the GPS Map 64s. The screen is a good size, which is a 2.6-inch color and sunlight readable screen. It receives GPS and GLONNAS signal with its helix antenna. It can also connect wirelessly via Bluetooth or ANT+ to compatible devices. You can also connect to a smartphone to share activities or upload data. Some of the other specs are the following: 16-hour battery life, 4GB memory, and microSD card compatible. It also features a barometric altimeter, a 3-axis compass, automatic routing. ​Some of the other specs are the following: 16-hour battery life, 4GB memory, and microSD card compatible. It also features a barometric altimeter, a 3-axis compass, automatic routing. If you like big buttons, then you should consider the GPS Map 64s. The screen is a good size, which is a 2.6-inch color and sunlight readable screen. It receives GPS and GLONNAS signal with its helix antenna.It can also connect wirelessly via Bluetooth or ANT+ to compatible devices. You can also connect to a smartphone to share activities or upload data.Some of the other specs are the following: 16-hour battery life, 4GB memory, and microSD card compatible. It also features a barometric altimeter, a 3-axis compass, automatic routing. The 4GB memory is much larger than the previous unit. That means I can save more maps and more data. Receives great signal even through thick coverage. Water rating is IPX7, which can protect the unit in rain, snow, splashes of water, and up to minutes of 1-meter submersion. Dual battery system: the rechargeable NiMH battery pack or 2 AA batteries. Since it is a larger unit, it’s not as easy to pack. Battery life is not as long as the eTrex 30. 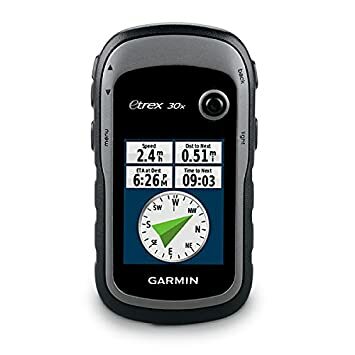 The eTrex 30 is Garmin’s most popular handheld unit. It has a 3-axis compass, worldwide base map, barometric altimeter, and wireless sharing with compatible devices. It also accepts microSD cards for more memory. In the box, you have the unit itself, a USB cable, and a quick-start guide. The device runs on two AA batteries, which can last for about 25 hours. It’s compact, robust, and has so more functions you need in a GPS. 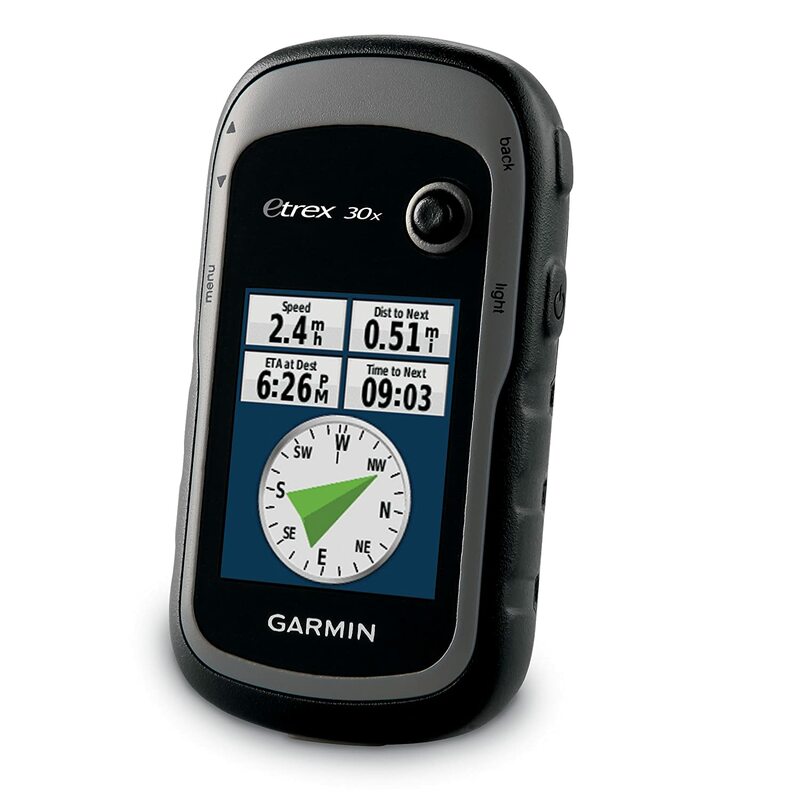 The eTrex 30 is Garmin’s most popular handheld unit. It has a 3-axis compass, worldwide base map, barometric altimeter, and wireless sharing with compatible devices. It also accepts microSD cards for more memory. In the box, you have the unit itself, a USB cable, and a quick-start guide.The device runs on two AA batteries, which can last for about 25 hours. It’s compact, robust, and has so more functions you need in a GPS. The screen display is colored and easy to read in sunlight. Its waterproof rating is IPX7, which protects the device from rain, splashes, and up to 1 meter of water for up to half an hour. This unit is very compact and rugged, ideal for travelers/hikers who want something small and lightweight. It can withstand dust, mud, water, and humidity. You can use it for almost any outdoor activity. The functions are easy to use and manipulate. This model is already discontinued because of the newer model, so finding it might not be easy. The price difference between the newer model is also large, with the newer one being cheaper. The screen is small and has poor resolution. 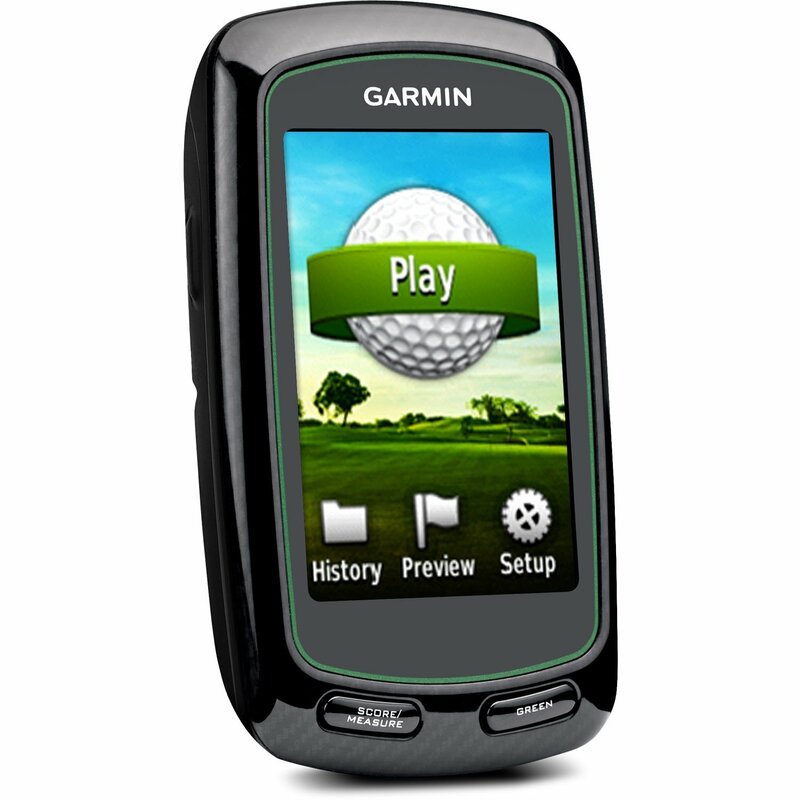 This pocket-size GPS is a designed for golf and has around 40,000 preloaded golf courses around the world. It has sunlight readable touchscreen, rechargeable internal batteries, and a digital scorecard. Great size and features for golfers. It can help you improve your game. Battery life is 15 hours, which is more than enough for a weekend of golfing. Great price for the purpose. Limited to golf maps; not very versatile. It’s already discontinued and replaced with a newer model. However, you can still find these around. This 3-inch touchscreen display handheld GPS is perfect for the trail. It’s much like the others on this list. It offers IPX7 water rating, a 3-inch sunlight readable screen, and a 16-hours of battery life. This model has a preloaded topographic map of the U.S., and if you need more, you can always add. This 3-inch touchscreen display handheld GPS is perfect for the trail. It’s much like the others on this list. 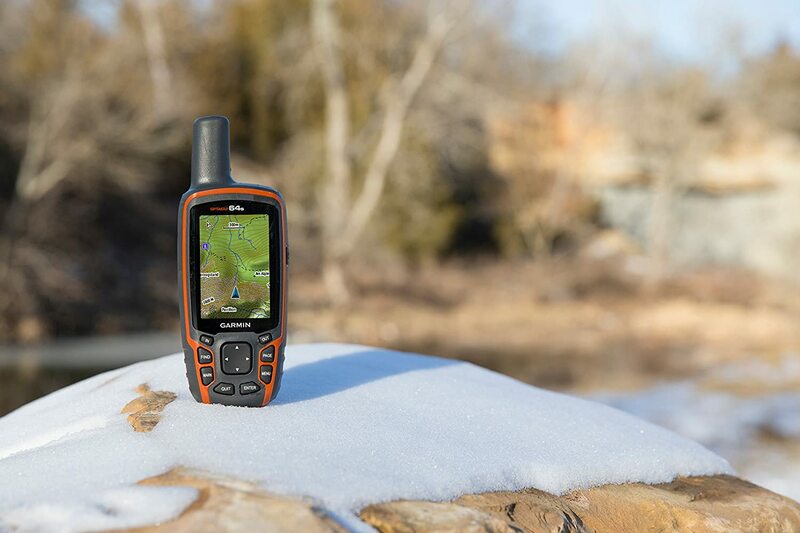 It offers IPX7 water rating, a 3-inch sunlight readable screen, and a 16-hours of battery life.This model has a preloaded topographic map of the U.S., and if you need more, you can always add. Great overall size and screen size. They’re easy on the hands too. It has a high sensitivity receiver, and it’s pretty fast. It has the essential features you need. This unit looks great, and it’s quite sturdy too. Minuscule internal memory. However, you can always use a memory card with it. The touch screen has its moments when it doesn’t read your touch, especially with gloves on. The eTrex 30x is a newer model than the eTrex 30, featuring a larger internal memory at 3.7GB compared to eTrex 30’s 1.75GB. That means you can load more maps and save more data. Another major difference is that it has better resolution. 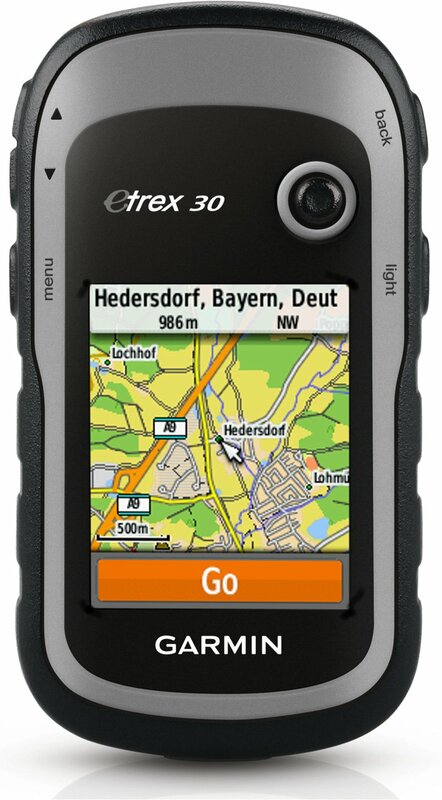 The eTrex 30 had a 176×220-pixel display, while the 30x has a 240×320-pixel display. That makes the readability a whole lot better. The eTrex 30x is a newer model than the eTrex 30, featuring a larger internal memory at 3.7GB compared to eTrex 30’s 1.75GB. That means you can load more maps and save more data.Another major difference is that it has better resolution. The eTrex 30 had a 176×220-pixel display, while the 30x has a 240×320-pixel display. That makes the readability a whole lot better. The advantages of this model are very similar to the eTrex 30, however with minor improvements. After all, it’s eTrex 30 was discontinued and replaced by this. Its waterproof rating is the same; it protects the device from rain, snow, splashes and up to 30 minutes in 1 meter of water. Better internal memory and resolution than eTrex 30. It has a worldwide base map, unlike the previous model. Subscription is needed for some features like BirdsEye Satellite Imagery. It’s small, which some people may like. Personally, I would prefer if it were larger because I have big hands. However, the features outweigh this minor issue for me because I can still easily use it. Overall, I would say that these Garmin handheld GPS devices are all high. I think in the end it all depends on what you will be using it for and a matter of preference. Some are great for hiking, while others are great for golf, hunting, fishing, etc. 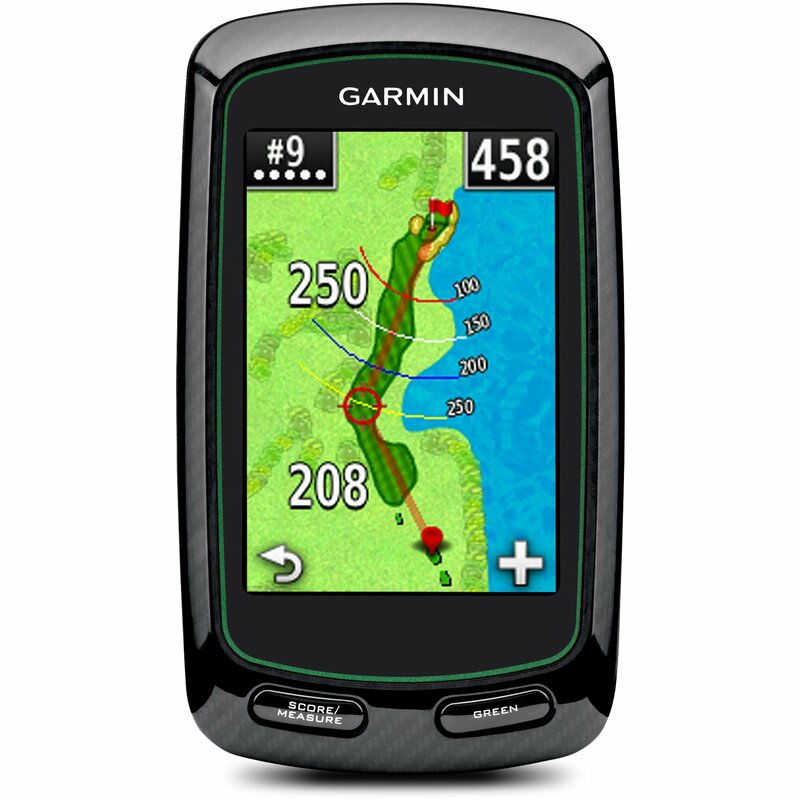 The winner for me would have to be the Garmin GPSMAP 64s Worldwide. 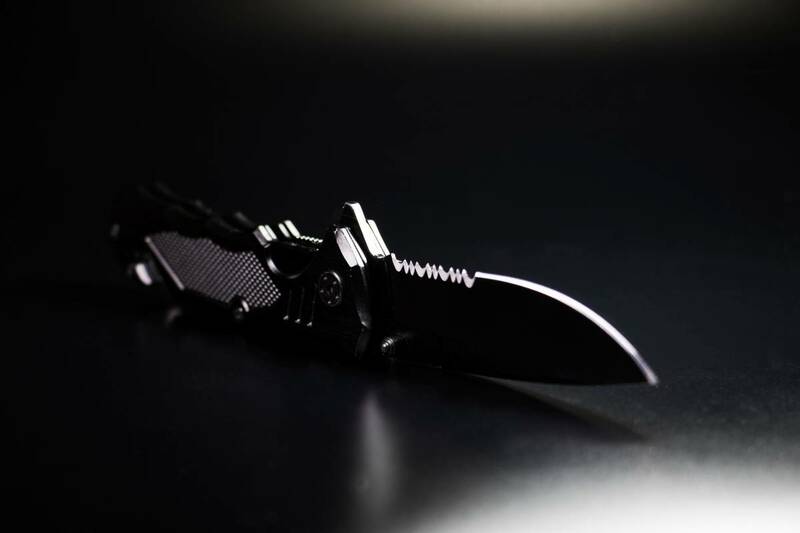 It’s versatile, durable, and has all the functions I will need for my adventures. It has great coverage and receives GPS and GLONNAS.